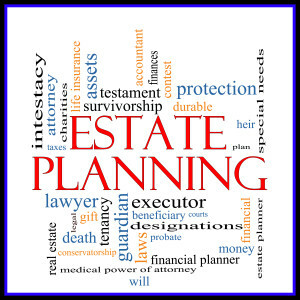 Many people are under the misimpression that estate planning is only for the wealthy. Not so, it’s essential for everyone — rich or poor, young or old, married or single. In the event of incapacity, an Estate Plan protects you and your loved ones while you are alive. If you become incapacitated by a severe illness or accident, an Estate Plan will take care of you by following your wishes. Everyone has an Estate Plan, either by Choice or Default. The word “estate” means everything (money, real estate, personal assets, and business assets) that you own or control at the time of your death or incapacity. The term “estate plan” refers to a set of legal documents that provides instructions on how you want your personal, financial and health care affairs to be managed. Who will oversee my financial and health care affairs if I suffer a severe illness or accident and become incapacitated? Life Planning Law Firm can do Incapacity Planning for you so the people you love and trust will be the decision makers to help you when you’re unable to manage your own affairs. After I’m gone, how can I be sure my estate will pass to the people I want to inherit from me? We customize Legacy Plans that carry out your specific wishes and enforce your life values to the people and organizations you select as your beneficiaries. Will my family have to pay a large estate tax after I die? We do Tax Planning that can reduce the estate taxes your family will owe. I didn’t think it was necessary for me to have Estate Planning documents. If you don’t have these documents, then you have the “default” estate plan chosen for you by the State of Florida. Your financial and health care affairs will be handled by a guardian appointed by a probate court judge. The guardian may or may not be a person you know, the judge will decide. The judge will also determine who will serve as the guardian to care for your children in case you become incapacitated or die. The guardian appointed by the judge may or may not be the person who would have chosen. If you do not have a last will, the judge will determine who your heirs are under Florida’s intestacy law. Sadly, this “default” type of estate planning costs much more in the end than hiring a qualified attorney now to do your planning. It places considerable burden and emotional stress on your loved ones. How about if I just go on-line and do my own estate planning, so I don’t have to pay a lawyer? Be careful. Websites like legalzoom.com disclaim any attorney – client relationship with you. Without legal guidance you can unknowingly make wrong decisions that don’t meet your objective and possibly hurt your loved ones. It’s akin to someone deciding not to go to a dentist, preferring to drill his own teeth to save money. Again, it’s not advised.